Large stone farmhouse in country wood siding and divided into 3 gites with covered and heated swimming pool on landscaped of 6000m². 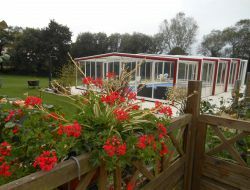 Our cottages are located 4km from the Canal from Nantes to Brest for your bike rides and beaches 30 minutes. 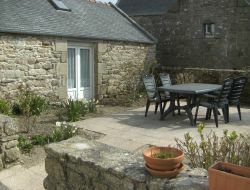 Cottage in an old stone building at walk distance from from the Bay of Morlaix, one of Brittany's most beautiful bays, with 2 large beaches within 5 minutes and the village nearby. 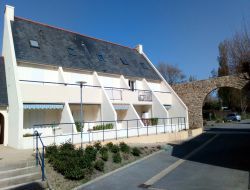 Gite for 6 people with the handicapped acces. Rent possible all year. 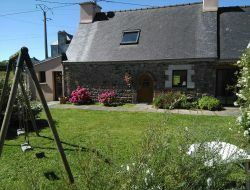 Holiday cottage of character for 5 people, near Brest, in the Finistère (Brittany). 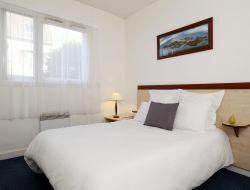 Appart'Hotel Terres de France Brest offers 81 self-catering apartments, comfortable and fully equipped for rent. The accommodation of this residence, from the studio to the 2-room apartment, can accommodate up to 4 people, and have: a kitchen, a tv, a free WIFI connection, as well as 'a bathroom and private toilets. The residence of Brest also has a covered and secure parking for your comfort. Between ground and sea in a restful environment, rent of an independent apartment with big terrace and garden. 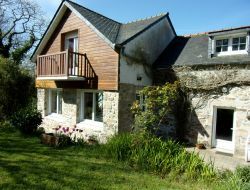 Rent of 3 gites for 6-7 and 9 persons, near Port-Launay, in the Vallée de l'Aulne, 15km from beautiful sandy beaches of Finistère. Gites situated in an ideal place for all the equipments and the activities.